What's My Line? was one of the most popular TV game shows in the era of game shows. From 1950 to 1967 most of America watched it to see if the panel of Dorothy Kilgallen, Arlene Francis, Bennett Cerf, and a guest panelist could guess the occupation of the contestant, or the name of the mystery guest. 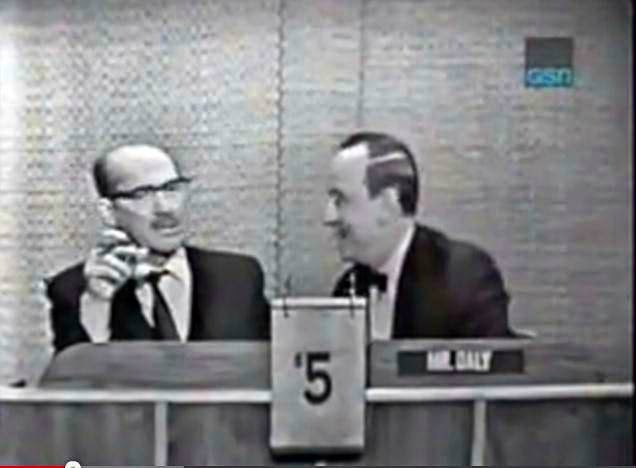 On October 13, 1963, the mystery guest was Groucho Marx. He didn't go a very good job of concealing his voice from the blindfolded panelists, but they were still unable to identify him. Today the show, broadcast in black and white with a maximum prize of $50, might not have as much of an impact as it did back in 1963, but at the time it was a big TV hit.